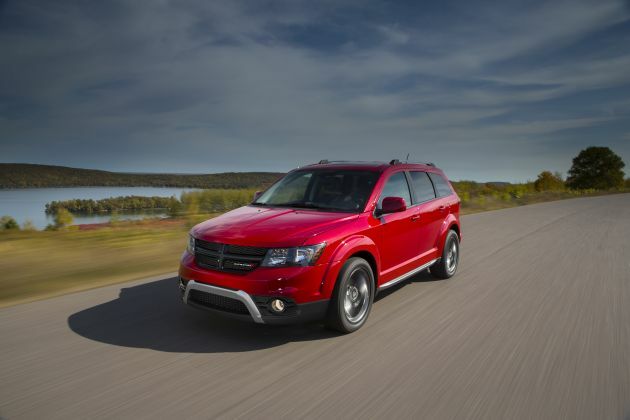 What changes will make the 2018 Dodge Journey different? Nothing, because this midsize crossover is headed for a transformative model-year 2019 redesign. That’s a slight detour from original plans by Dodge’s parent company, Fiat-Chrysler Automobiles (FCA). It originally intended to introduce an all-new Journey for model-year 2018. It would share engineering with the Chrysler 200 midsize sedan, but production of the 200 ends after a short model-year 2017 run. So the next-generation Journey will instead move to the “Giorgio” platform that underpins the Giulia premium sedan from Fiat’s Alfa Romeo division. Journey production will switch to Italy from its current assembly in Mexico. The Giorgio architecture supports all-wheel drive (AWD) but is rear-wheel drive based. That’s a huge switch from the front-drive-based platform Journey has employed since its model-year 2009 introduction. The Giorgio platform will also reportedly underpin the next-generation Dodge Charger sedan and Challenger coupe, as well as the larger Dodge Durango crossover. Journey is expected to remain slightly smaller than the Durango but continue to offer a choice of five- and seven-passenger seating. You shouldn’t. The ’18 will essentially be the same Journey sold since model-year 2011. Dodge could create a special edition trim to stir interest in advance of the upcoming redesign, but that’s hardly worth waiting for. Plus, you’d be getting a vehicle whose styling and engineering had a short shelf life. Barring some special trim edition, expect the 2018 model lineup to repeat the 2017 roster. It would ascend through base SE, volume SXT, off-road-themed Crossroad and Crossroad Plus models, topping off with the sporty GT grade. Front-wheel drive would again be standard on all, with traction-enhancing AWD would be optional. Expect a four-cylinder engine to remain standard on front-drive SE, SXT, Crossroad, and Crossroad Plus models. A V-6 would again be optional on these models and standard on the GT and on all Journeys with AWD. With little but higher prices expected for the virtually unchanged ’18, the 2017 Journey represents an intriguing choice for crossover shoppers who place a high priority on getting a deal. Case in point: A Journey GT with AWD and every desirable factory option – blackout trim, 2,500-pound tow package, embedded navigation, power sunroof, rear-seat DVD entertainment, even integrated second-row child-booster seats – retails for just under $40,000. Better still, Fiat-Chrysler began 2017 offering some very generous Journey incentives, including 0% financing for 60 months plus a factory rebate of up to $3,000. Forego the cut-rate financing, and the rebate can increase to up to $5,000. So a Journey GT fan could purchase a midsize AWD crossover with a powerful V-6, seven-passenger seating, 19-inch alloy wheels and a sport suspension, leather upholstery with red stitching, heated steering wheel, and 368-watt sound system with subwoofer for less than many five-seat compact-crossover rivals with a four-cylinder engine and front-wheel drive. Such a deal doesn’t come without some compromise. Journey lacks several important driver assistance features, which prevent it from earning top safety ratings. Further, the Dodge brand lags significantly behind its rivals for reliability, resale value, and customer satisfaction ratings. We wouldn’t discourage you from putting Journey on your shopping list, but these are important factors in your new-vehicle search. No. Journey will continue to roll with the same look it’s had since 2011. At least its styling has aged reasonably well, thanks to Dodge’s crosshairs grille, aggressive lower fascia, and flared wheel arches. This is one of the smaller midsize-class crossovers, especially among those available with three rows of seating. Its relatively low roofline helps limit total cargo capacity to 67.6 cubic feet, less than some compact-class crossovers, including the Honda CR-V and Toyota RAV4. Still, Journey has a few clever tricks that make the most of the space it does have. A pair of covered floor bins in front of the second-row seats provides room to stash small items. On some models, the bottom cushion of the front-passenger seat flips up to reveal another hidden storage space. Journey is also the only mainstream crossover to offer integrated second-row child booster seats that can be folded away when not needed. Children and most adults will have enough room in the second row. The available third row feels like an afterthought, but does provide secure transport for times you’re unexpectedly haulin’ extra younguns’ home from ballet lessons. The second-row seats slide fore and aft to help somewhat, but no one will be comfortable back there for anything but short trips. Highly unlikely. Front-wheel-drive SE, SXT, and Crossroad/Crossroad Plus model almost certainly will continue with a 2.4-liter four-cylinder engine of 173 horsepower and 166 pound-feet of torque. It’s lethargic on its own and, worse, teams with a four-speed automatic transmission, an antiquated unit in a class where top entries boast eight-speed automatics. Four-cylinder Journeys can barely get out of their own way. Not even buyers on the tightest budgets should consider one. Fortunately, the overwhelming majority do not. Smart money is on the available 3.6-liter V-6. It’s FCA’s corporate “Pentastar” unit and produces a robust 283 horsepower and 260 pound-feet of torque. It pairs with a six-speed automatic transmission to deliver sprightly acceleration. Front-drive V-6 models can suffer from torque steer, in which a vehicle pulls to the side during full-throttle acceleration. 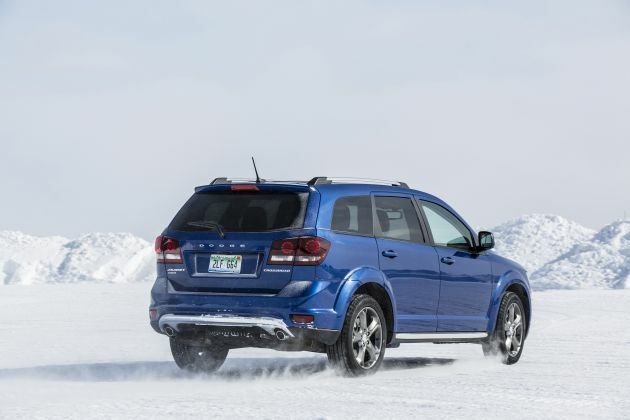 We recommend AWD, a basic system that simply shuffles power to the rear wheels when sensors detect front-tire slip. But it quells torque steer and benefits wet-surface traction and dry-road handling. Speaking of which, GTs are surprisingly fun to drive, thanks to their upgraded suspension and 19-inch wheels. The 19s are an SXT option in place of standard 17s and don’t slap an undue penalty on ride quality that’s absorbent if not always totally composed. Most likely not, and that’s problematic because Journey’s EPA rating are near the bottom of the competitive. Hampered by their four-cylinder transmission, the front-drive-only four-cylinder models rate just 19/25/21 mpg mpg city/highway/combined. V-6 versions rate 17/25/19 mpg with front-drive and 16/24/19 with AWD. By comparison, the much newer V-6 AWD Honda Pilot with 280 horsepower and a six-speed automatic rates 18/26/21 mpg. Only if Dodge creates a special-edition model that cherry picks features to create a new value proposition. But don’t expect important driver-assistance features, such as blind-spot alert, lane-departure warning, forward-collision alert, autonomous emergency braking, and radar-based adaptive cruise control, to become available on any Journey. As such, the ’18 would remain ineligible for coveted Top Safety Pick status from the Insurance Institute for Highway Safety. It’s also likely to retain its 4-star overall safety rating in the government’s 5-Star Safety Ratings. Otherwise, equipment levels from the 2017 Journey will carry over. The SE would continue at the entry level and fairly sparsely equipped. Its only notable standard features would be dual-zone climate control and keyless entry with pushbutton ignition. Most buyers will start their research with the SXT. The ’18 versions should repeat with standard tri-zone climate control, three rows of seating, and Chrysler’s Uconnect infotainment system. The Crossroad would again add unique trim, upgraded cloth upholstery, higher-grade infotainment kit, and a universal garage door opener. Expect the ’18 Crossroad Plus to return with automatic climate control, a larger touchscreen for the infotainment system, and power driver’s seat. The ’18 GT versions would repeat with a heated steering wheel and front seats, upgraded Alpine-brand audio system, and remote engine start. FCA’s feature packaging strategy for the Journey can be a bit odd. For example, the second-row underfloor storage bins are standard on every model except the Crossroad Plus. Different trim levels offer a variety of packaged and standalone options, so most buyers should be able to customize a Journey to their specific tastes. More on that below. With a 2017 base price of $22,240, the front-wheel-drive SE is the least-expensive midsize crossover SUV for sale in North America. The 2017 AWD SE starts at $27,840, but it adds the V-6 engine and third-row seat, the latter of which costs $1,995 on the front-drive model. With front drive and the four-cylinder, figure a $26,500 base price for the 2018 Journey SXT with the Crossroad and Crossroad Plus starting around $27,500 and $28,900, respectively. Estimated base price for front-drive 2018 GT is $33,000. To these prices, expect to again add about $1,800 for AWD and about $1,700 for the V-6 (which would remain standard on the GT). Among key 2017 options, for about $800, the SE’s Popular Equipment Group would include a leather-wrapped steering wheel and shift lever, an overhead console bin, and illuminated sun visor vanity mirrors. 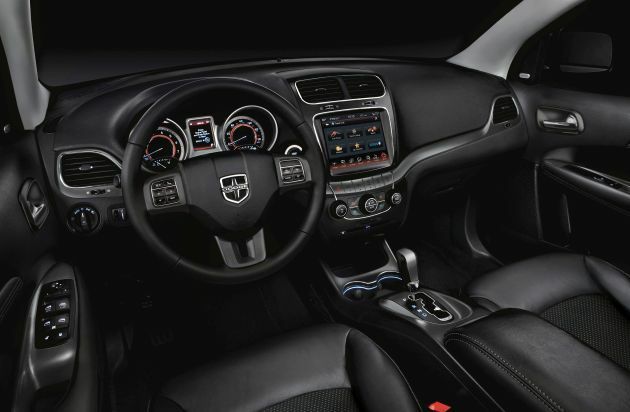 The SXT would have a $1,000 Premium Group, which includes most of the Popular Equipment Group’s features plus a power driver’s seat, upgraded cloth upholstery, storage bin under the front-passenger seat cushion, and satellite radio. Crossroad Plus would have its own Popular Equipment Group. For $1,250, you would get heated front seats and steering wheel and remote engine start. The GT’s standard Alpine audio system would be about $400. Crossroad Plus and GT would offer rear-obstacle detection for $595. And for $1,300 on either model, the Navigation and Back-Up Camera Group would add its namesake plus rear-obstacle detection. Rear DVD entertainment should again be a standalone option for $949-$1,349, depending on model. The optional Blacktop Package includes unique trim and wheels for $395. Expect a release date for the 2018 Dodge Journey in fall 2017. Inclusion of the aforementioned safety/driver aids, but we wouldn’t expect this to be part of the 2018 Journey lineup. They’ll certainly be included as part of its planned 2019 redesign. For the current model, we’d like to see FCA rework some of the feature packaging to be a bit less confusing to potential buyers. But given that you can purchase one of these crossovers for a very good price (once you figure in incentives), we’re not going to complain too loudly.